Ever been to a place that you know very, very little about? That’s how we felt when arriving in Poland. We of course knew a little of its tragedies experienced in nearby Auschwitz and also that it had a guy called Karol who actually made a name for himself across the world but that was about it. A walking tour is always a great introduction to a place. Hearing a few stories, getting the historical perspective and discovering the lay of the land can entice you to explore areas further. 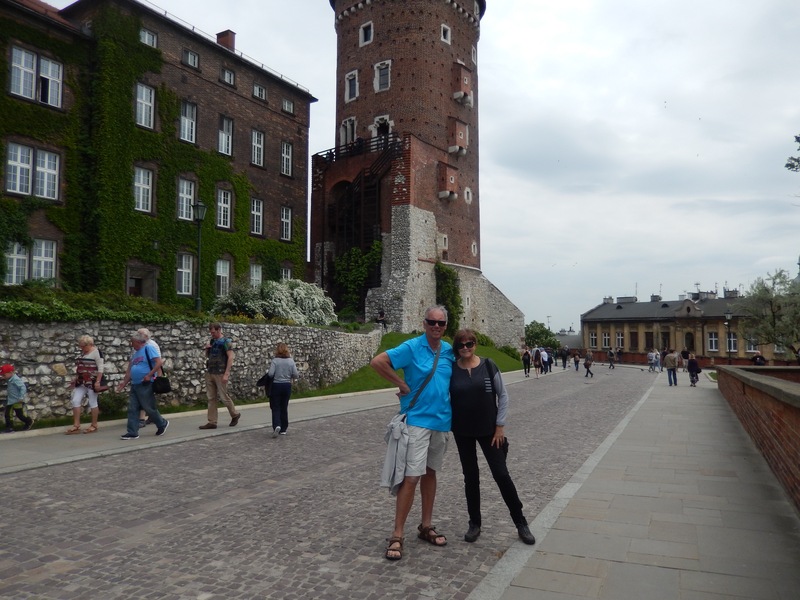 Starting at Florians Gate and weaving its way through the old town, we finally finished the tour 2 1/2 hours later at the Wawel Castle. There are lotsa meat, potatoes, cheese and cabbage dishes in Poland. 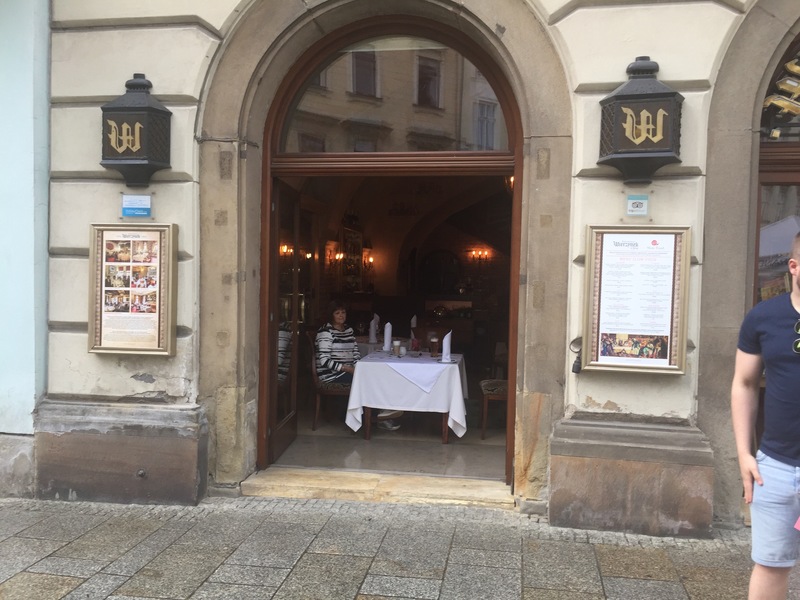 There’s also nice fancy places to sit in when it rains – a good excuse to visit Wierzynek Restaraunt which dates back to 1364. Beautiful interior. 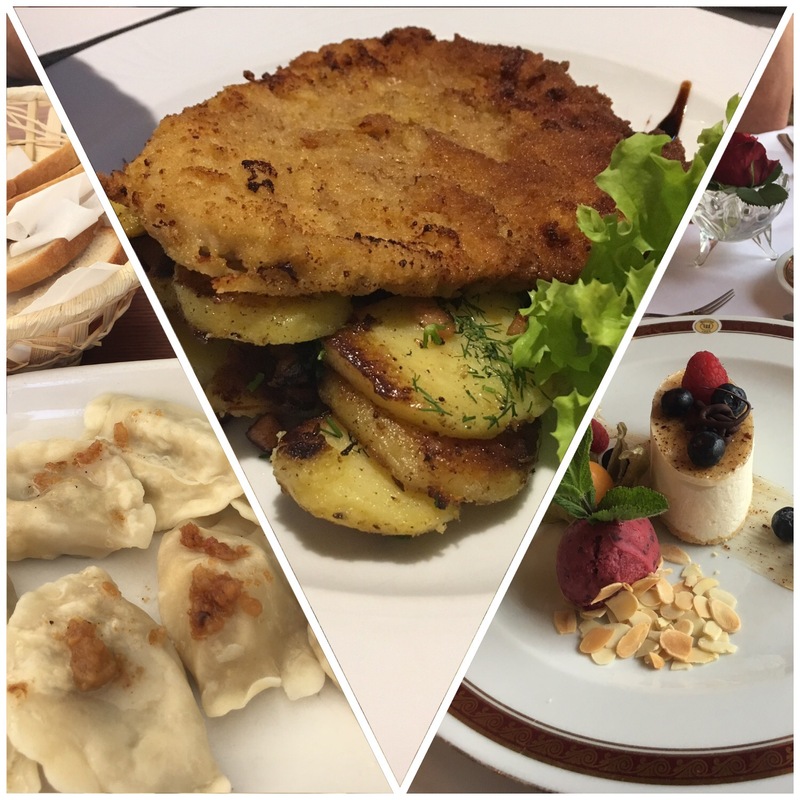 The food may be different from home but that’s what travel is all about – difference. 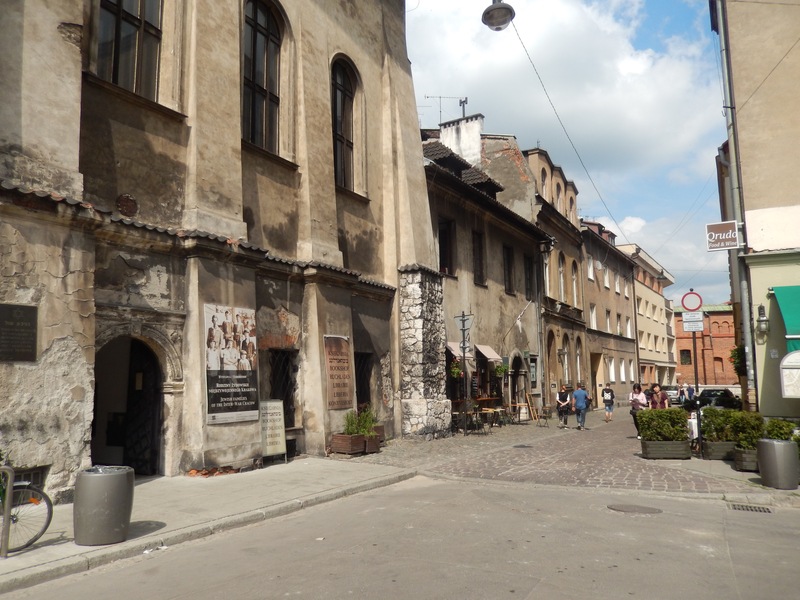 We strolled through the Jewish Quarter, remembering the past. 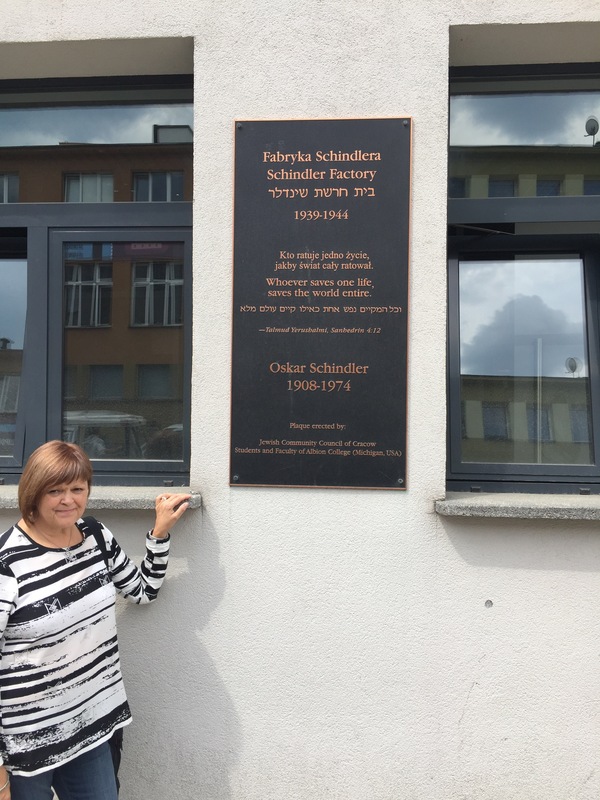 We visited Oskar Schindler’s Enamel Factory, getting the real story and not just the Hollywood version. 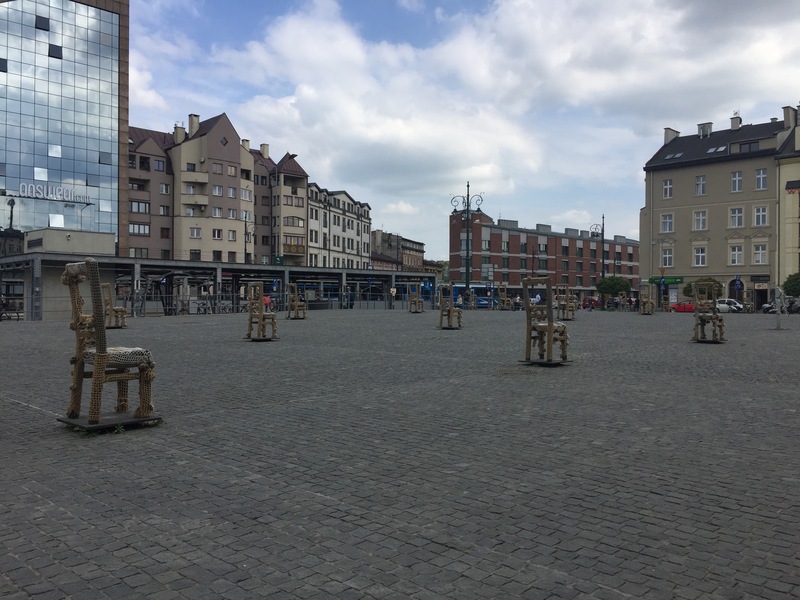 Heroes Square with its 33 memorial chairs is so very poignant in its message. 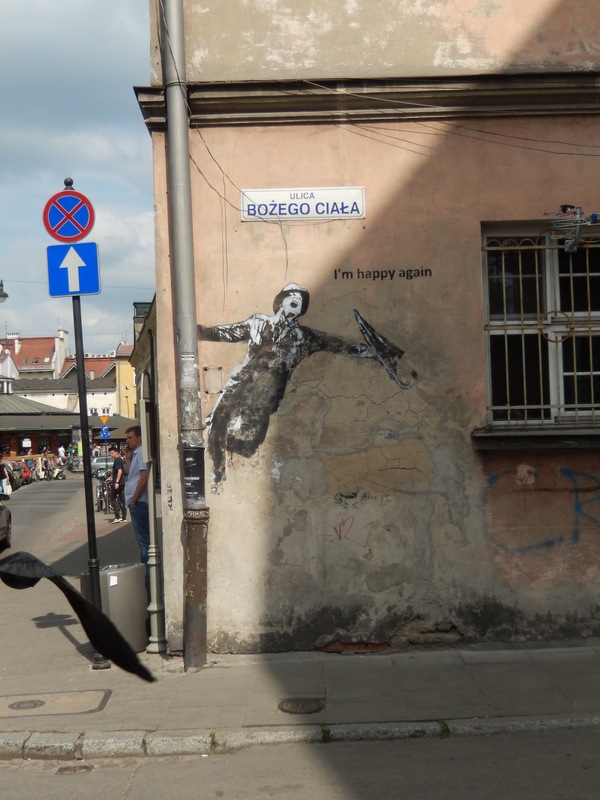 The buildings in what was the former Krakow Ghetto during WWII and the street art tell their own stories. If you hadn’t heard of JPII it wouldn’t take you long to wonder why all these souvenirs, posters and statues have this guy’s face on them. 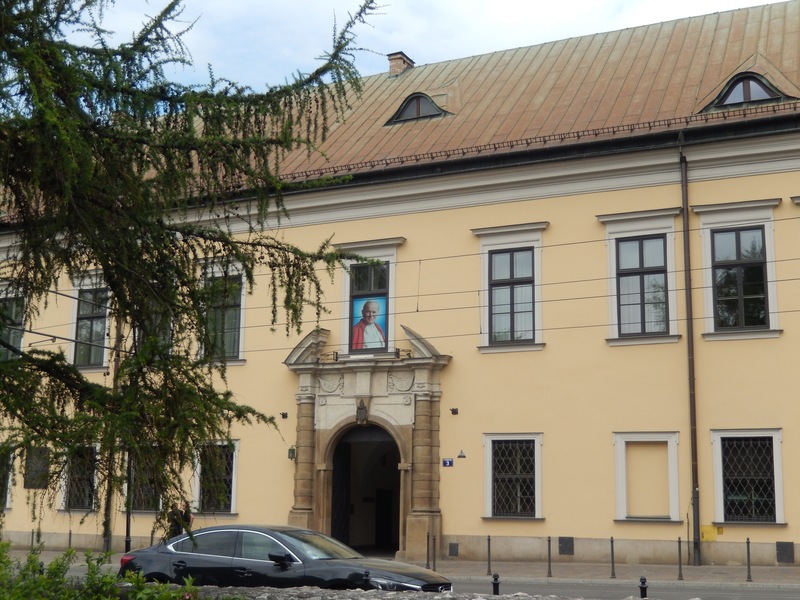 Krakow is very proud of Karol Josef Wojtyla, otherwise known as Pope John Paul II. He’s the one who sort of teamed up with Solidarity Leader Lech Walesa to pave the way for Poland to come out from behind the Iron Curtain. Pretty impressive work for someone apolitical. ​If you wanted to teach kids how to count, then maybe they could start by counting the churches. For the advanced, they could begin counting by twos as they passed nuns, priests or brothers! A mini-Rome me thinks! 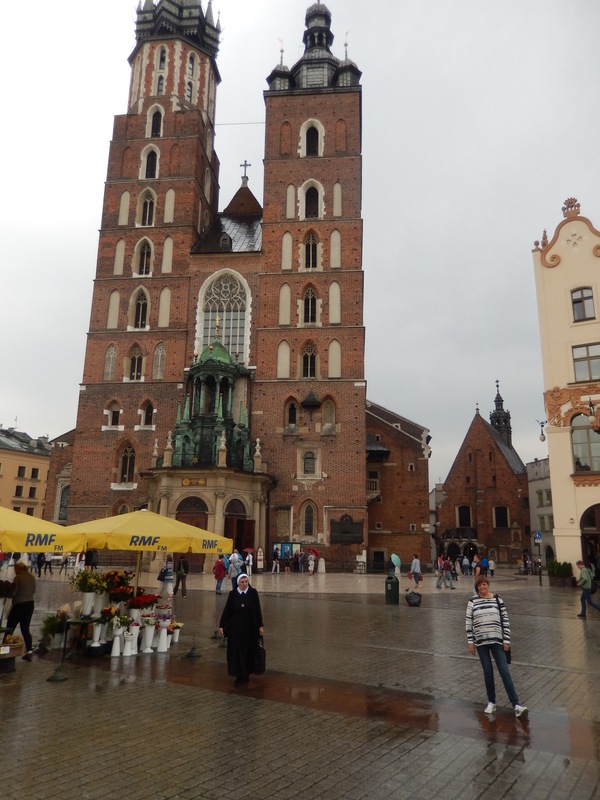 The main cathedral, in the town square has a firemen/ musician play the trumpet from the higher tower on the hour. A nice touch. There was a visit to Auschwitz but some things and places don’t belong on a blog. Our trip to Nowa Huta will have its own page. 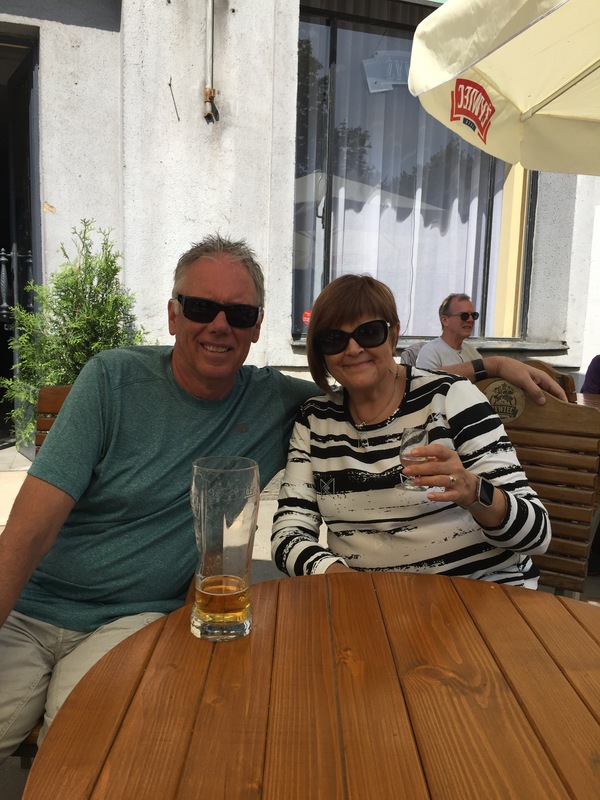 We loved our time here and would definitely recommend it as a place to put on your Eastern Europe itinerary.